All posts tagged with "Her Majesty has many feet"
The general consensus around the office is that today’s Earliest Access launch went better than any launch that the company has done in the past. People seem to be having a good time; while there are some crash bugs, they seem to be pretty manageable. Awkwardly named squad or sign of REDACTED infiltrating the highest levels of the Empire? If you have an NVIDIA card, and your terrain does not display, and your terrain quality is set to high: update your drivers. There seems to be a bad batch of drivers floating around somewhere. In general, updating your drivers is a good idea. If you get no sound: possibly, try running as Administrator? We haven’t quite figured this one out yet, but Top Men are Working On It. If you are having problems with reclaiming your key, drop us a line at contact@gaslampgames.com and we will sort you out. 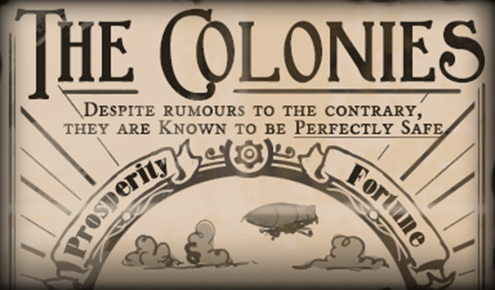 If you have any other problems, head to our forums ( https://community.gaslampgames.com/ ) and check the current bugs thread, and if it’s not on there, you can post about it there OR submit a report through the Clockwork Empires Portal ( http://portal.clockworkempires.com/ ). There is a pretty good list of “known bugs” at this point, and we will be slaving away on a patch in the office this weekend with an eye towards pushing it to the public on Monday (July 21st). This should take care of a handful of random crashes, as well as some low-hanging UI fruit that players have been especially eager to have us fix. We are then going to shoot for a more “content-y” patch on the following Friday (July 25th). We have personal assurances from the Colonial Minister!